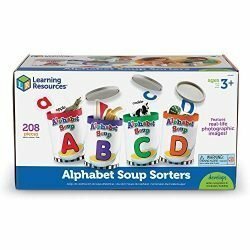 For Beginning and Struggling Readers! 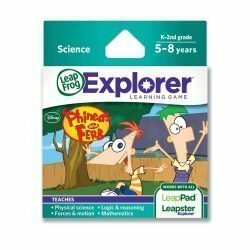 This fast-action memory card word game, picture flashcards and storybooks work together to make learning to read fun! 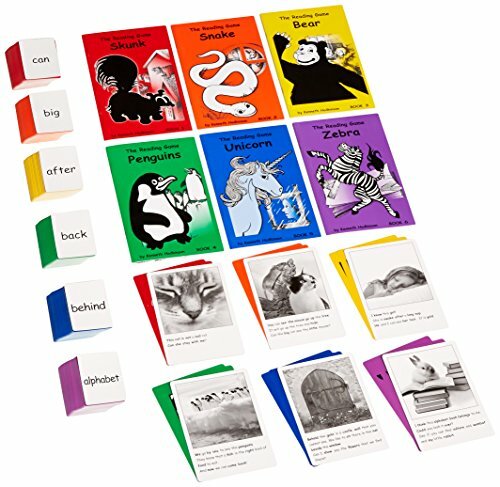 The captioned-picture flashcards reinforce words learned through game play in short sentences. 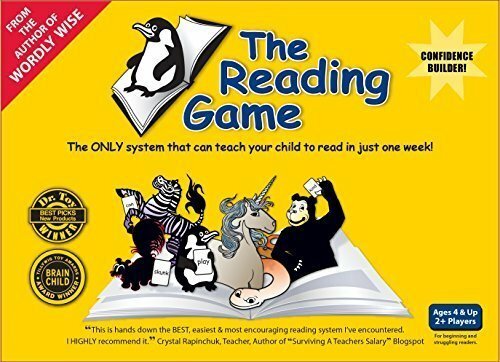 Each of the content rich animal stories is told using only the 30 words learned through game play to ensure reading success and to build confidence in reading. 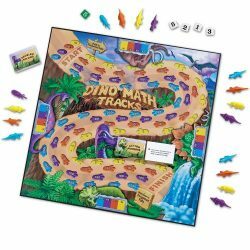 Teaches 180 vocabulary words; including Dolch and High Frequency Words for K and 1st grade levels. Award Winning (Dr. Toy, Tillywig Brain Child, etc). 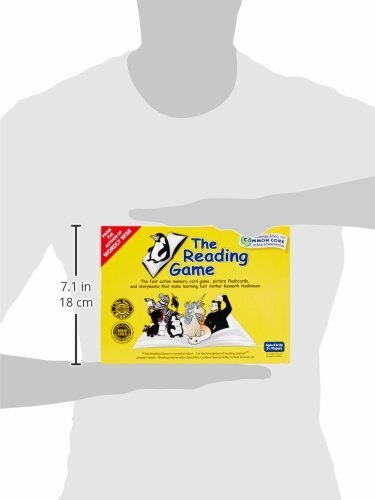 Meets Common Core Standards for Language and Literacy Arts. By the author of Wordly Wise. 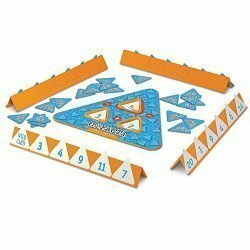 Meets Common Core standards.Builds confidence and enjoyment in reading for beginning and struggling readers. 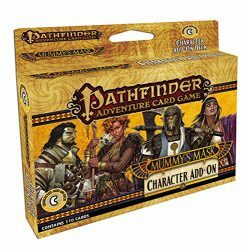 Staged learning format ensures success and makes learning to read fun and effective. 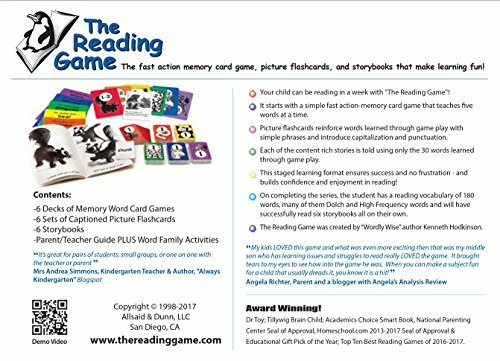 Fast action memory card games, flashcards & independent readers teach reading skills in a fast, fun and effective game format. 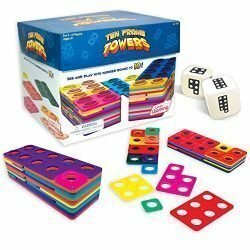 Teaches hard to learn Dolch sight words for K & 1st grade levels.